My friend Leora Eisen, a world-renowned Canadian documentary filmmaker and an identical twin, sent me a CBC article by Bridget Yard titled “As Identical Twins, We Shared Everything. 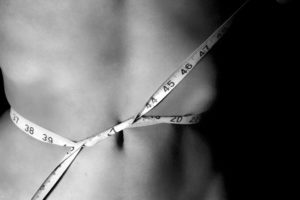 Except My Eating Disorder.” While I found the article very interesting, I believe that some key issues were not explored. I imagine that certain factors could not be explicated due to the very public nature of the publication. Nonetheless, I am presenting a reasonable hypothesis to speculate about deeper issues. While Bridget references her struggles with identity and sexual orientation, I imagine the inner conflicts she alludes to must have been much more complicated. 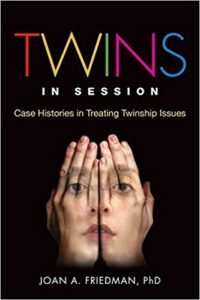 In my work with twins, I have found that intertwin competition can become deadly. While being compared is an annoying and expectable by product of being a twin, the competitive dimension is complicated. Both Bridget and her twin did competitive sports together, which likely helped motivate them as well as minimized competition between them. However, the competition to be the “skinny twin” in this case evolved into a compulsive and self-destructive end game. I surmise that Bridget’s eating disorder had much to do with her unconscious desire to outdo her outgoing, vivacious sister. She needed an outlet for her envy but could not allow those hostile feelings to destroy her inviolable connection to her best friend, confidant, and protector. Consequently, she punished herself with starvation in an attempt to ward off intolerable feelings of shame and guilt. Bridget’s compulsive need to starve herself fed her subconscious desire to compete with her sister so that she could assert her own individuality. Of course, this is an extreme example of one twin’s compulsion to ward off intolerable feelings; nonetheless, if the twins’ relationship did not have the psychological room to handle conflict or confrontation, then Bridget had no healthy alternatives to work through these feelings.